Probe Holder for FMD studies. Quipu provides a probe holder that is necessary to keep the ultrasound probe in the correct position during all the examination (10 minutes). 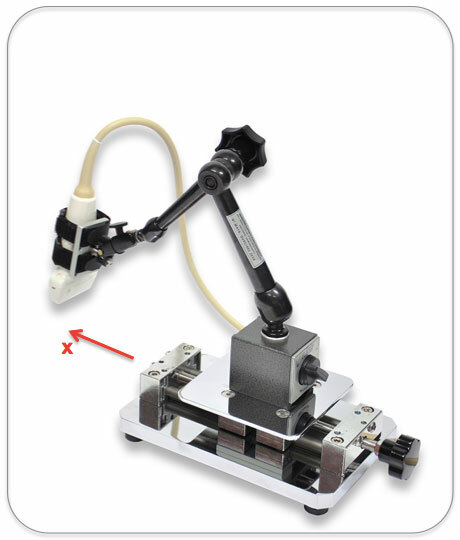 The tool consists of an adjustable swivel arm with magnetic base, a universal probe support plate and a micrometric slide base. Two models are available: with single-axis movement and with three-axes movement. 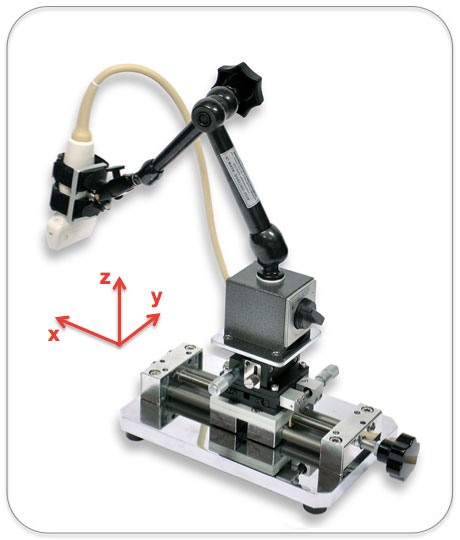 Probe holder with single-axis positioning stage. Probe holder with three-axes positioning stage. A video converter is necessary in order to connect the computer with the ultrasound system and perform real-time analysis. Quipu recommends the following solution which is compatible with all the output video formats generally available on ultrasound machines. The device can be used to connect your computer to DVI, VGA or HDMI video outputs coming from the ultrasound system. 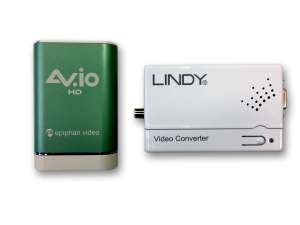 For “legacy” standard video output (Composite video and S-video) a Video to VGA Converter must be used together with the Epiphan AV.io HD Frame Grabber. Quipu provides a kit (QV-KIT6) that contains the Frame Grabber, the Video Converter and all the necessary cables and adapters.